A collection of articles and the influential inaugural lecture by the late Professor of Spanish at Exeter, edited as a tribute by colleagues in America, Europe and his own Department in Exeter. The subjects range from sentimental romance, narrative religious verse and cancionero love lyric to the problem of the bestseller in Golden Age literature. Some of the articles are difficult to obtain or were badly translated when previously published. 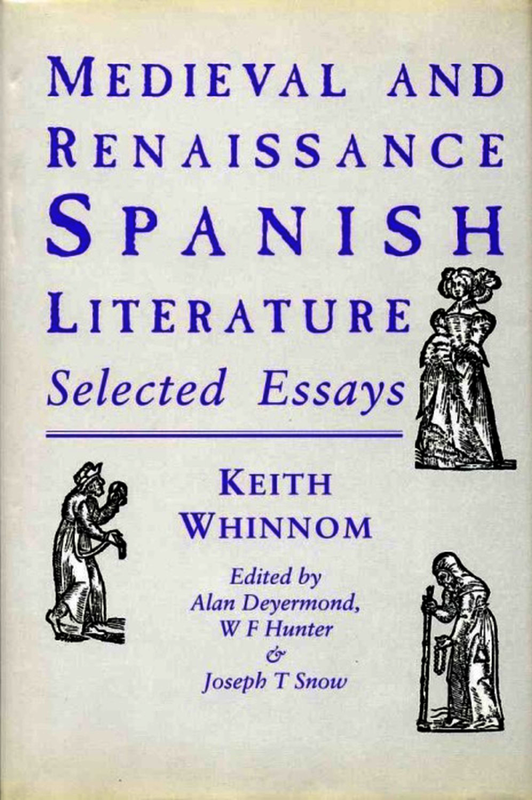 Professor Deyermond provides a detailed review of Keith Whinnom's contribution to Spanish literary scholarship and a revised bibliography.